We consider ourselves to be a family club. We welcome children and hope that they will want to learn to sail. 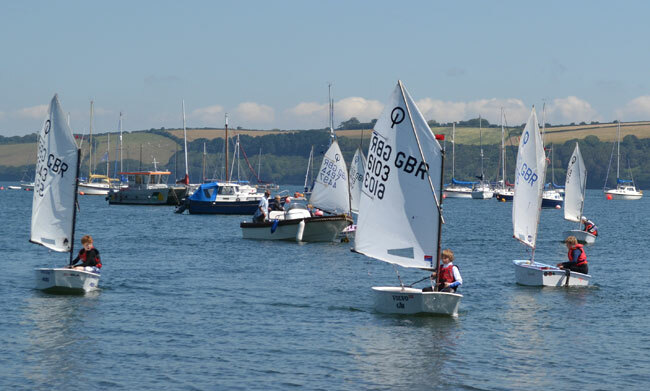 The club is very keen to introduce your children to the joys of sailing. Infact, we have introduced sailing to some of the best sailors in the world, Ben Ainslie being our most famous. We train young sailors using Optimists & Mirrors. We have eight club Optimists and one club Mirror, so prospective sailors can ‘have a go’ before they make a decision on buying a particular boat. The beach is safe for playing and swimming and there are several older children that may volunteer to baby-sit if you ask. Currently we do not have any crèche facilities but would welcome parents who want to organise a rota between themselves. There is a Restronguet Youth facebook page run by some of our young sailors – a good place to find out what's going on, just click the link or the icon. 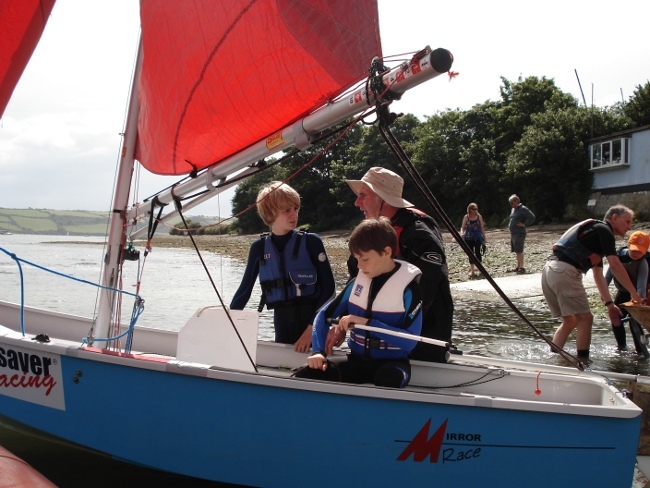 We run "learn to sail" sessions on most Sunday mornings during the season starting at 10:00 and follow the RYA Youth Sailing Scheme. There is also Race Training on most Friday evenings (video from a session above) and during the school holidays and half term. You can find dates and book sessions on Webcollect using the links above (school holiday session times are often chosen when weather is suitable, i.e. at short notice). You can download some more details on Mirror Training at the club. 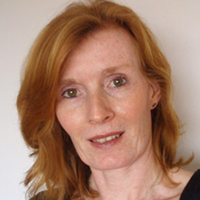 To sign up for the weekly Mirror training e-mail, contact Martin Egan or Ashley Shepherd. Lots more information about Mirrors on the Mirror Class Association website. Long term Laser/Youth Coach Phil Davies has have decided to stop coaching from the start of the 2015 season. The club would like to thank Phil for all his hard work over many years. The club is now looking for a volunteer(s) to replace him so Laser/Youth training can continue. The club has adopted a Child Protection Code of Conduct which is in the handbook.